Through the Opportunity Youth Incentive Fund and Demonstration Cities efforts, the Aspen Forum for Community Solutions supports multi-sector collaboration to develop and scale education and career pathways for opportunity youth in 24 communities across the country. The Youth FinCap Fund (launched by Citi Foundation and Prosperity Now) works on building financial capacity to further this work. 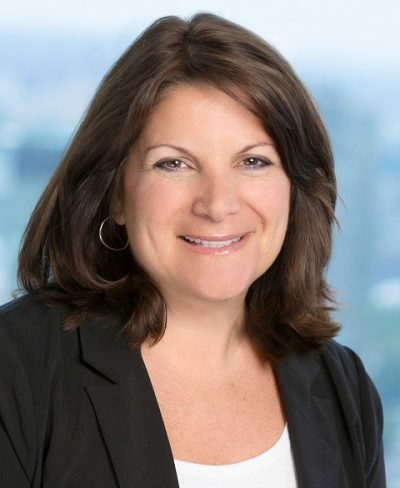 Brandee McHale, President of the Citi Foundation & Director of Corporate Citizenship at Citi, is a guest contributor of this blog post. We can all remember what it was like to get our first job and—even better—our first paycheck. Maybe you went straight to the mall to splurge on the hot new item you had your eye on. Or, if you’re like me, you splurged on all the hot new items. And if you’re really like me, you didn’t have a penny left over for the less exciting but important stuff that really mattered—stuff like books and car payments. Looking back, I’ll be the first to admit that there were some key lessons I wish I had learned before I got that first paycheck. I also wish I had learned sooner not to beat myself up over what I thought were mistakes in how I spent those first dollars I had earned all on my own. I worked hard for that first paycheck, and I deserved to celebrate. That’s what the Pathways to Progress Youth Financial Capability Fund (Youth FinCap Fund) is all about: connecting youth to jobs, teaching them how to enjoy the fruits of their labor and how to set themselves up for long-term success. The Citi Foundation is thrilled to partner with Prosperity Now to launch the Youth FinCap Fund, which is inspired by our learnings from Summer Jobs Connect, one of the cornerstones of our Pathways to Progress initiative. Our decision in 2014 to partner with Cities for Financial Empowerment Fund and eight mayors across the country to launch Summer Jobs Connect was about harnessing the summer job experience as a teachable moment—one that could be used as a platform to help youth build healthy financial futures, including not only links to financial knowledge, but also skills-building and access to safe and affordable financial products and services. Through Summer Jobs Connect we’ve already directly funded more than 8,500 new summer jobs for youth and supported an additional 110,000 youth whose jobs were not directly funded through our support. 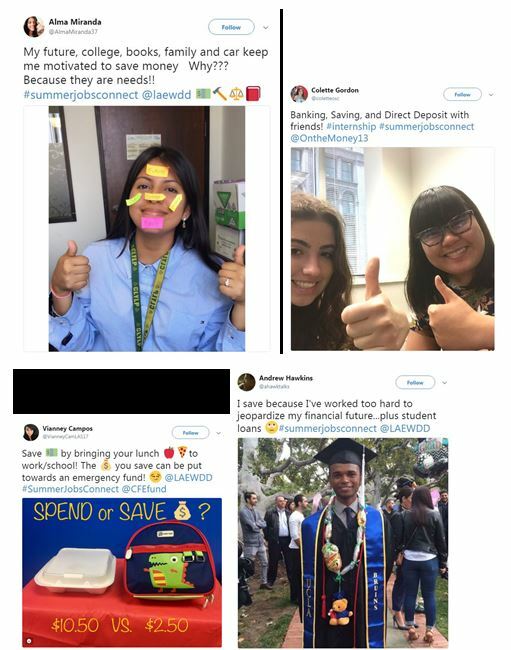 In total, over 8,000 youth have opened bank accounts; over 27,000 youth have enrolled in direct deposit- 14,700 of them automatically splitting deposits towards savings, with a total of over $9 million saved. Think of all of the books purchases and tuition payments that can be made with those savings! As Summer Jobs Connect expanded and evolved, we’ve recognized more and more just how powerful it can be to not only provide youth with work opportunities but to also pair those opportunities with financial capability services. Much of our programming in the United States is already focused on one critical component to youth empowerment; providing youth with these opportunities. For example, through the Youth Workforce Fund we are working with 15 community partners to increase access to jobs, including internships and apprenticeships, for youth. We have decided to ramp up our efforts around another critical component of youth empowerment- integrating financial capability early on in workforce training programs. Which brings us back to the Youth Financial Capability Fund. Our $2 million investment over the next 18 months will enable us to build the capacity of five organizations to integrate tailored financial empowerment services into their existing youth workforce programming, thus connecting thousands of youth across the country to jobs and financial capability-boosting services that can help them learn to manage money effectively. The five participating organizations with which we are excited to partner on the Youth Financial Capability Fund are Genesys Works, Juma Ventures, NPower, STRIVE International and Urban Alliance. Each of these organizations was selected because they have networks that extend in multiple cities across the U.S., and because they are committed to serving more than 8,000 young people collectively. Each organization will receive a $160,000 grant, plus intensive technical assistance provided by experts from Prosperity Now. In the coming months, Citi Foundation and Prosperity Now look forward to partnering with these incredible organizations. As we go, we’ll share with you what we’re learning, what these organizations are learning and what the youth they serve are learning. Together, we’ll be cheering for the growing number of young people who experience that moment of uncontainable excitement when they receive their first paycheck—along with the confidence of knowing that they’re setting out for a lifetime of financial well-being.